Arsene Wenger has given a team news update ahead of Arsenal’s Carabao Cup clash with Doncaster at the Emirates tomorrow night. We welcome the League One outfit to north London and Wenger has confirmed he’ll freshen things up again and play a side similar to the one that faced Cologne in the Europa League last week. 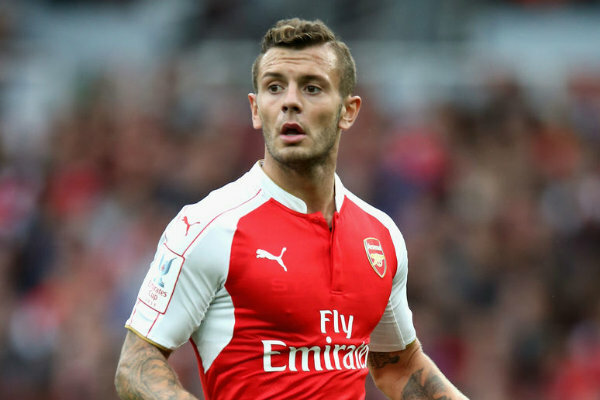 The boss has revealed that Jack Wilshere is set to make his first appearance in an Arsenal shirt for well over a year as he looks to salvage his career at the club. Wilshere recently recovered from a fractured leg that he suffered while on loan at Bournemouth last season and he’ll be hoping to take his opportunity against Doncaster to show Wenger he’s still got what it takes to make it at Arsenal. Another player who’ll be out to impress tomorrow night is Calum Chambers as he’s also in-line to make his first start of the new campaign after recovering from injury. Chambers spent last season on loan at Middlesbrough and impressed at times but he was reportedly close to leaving the club in the summer so no doubt he’ll be desperate to catch Wenger’s eye against Doncaster. Unfortunately there will still be no Mathieu Debuchy tomorrow night as the out-of-favour defender is still slowly working his way back to fitness following an injury-plagued time at the club. No, no. Debuchy is coming back slowly. Yes, he will be involved against Doncaster. Jack Wilshere is involved too. Yes [it will be a mix], but it will be a similar team to the one that played against Cologne.